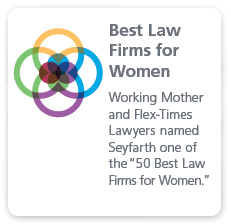 Seyfarth Shaw LLP combines its nationally recognized health law and award-wining, top-tier labor & employment practices to provide health care institutions with experienced, sophisticated, and cost-effective representation concerning all aspects of workplace management and personnel-related matters. internationally, to the life cycle of health care employment: from recruitment of and on boarding new employees to handling reductions in force; workplace instigations and training; employment contracts, policies, and handbooks; compensation structures, pay practices, exempt classifications and benefits; managing contingent work forces and assessing joint employment concerns; immigration; antitrust and equal pay; antidiscrimination, retaliation and whistleblowing. 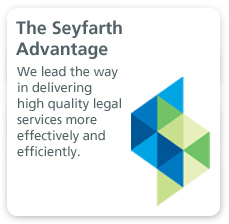 Our litigators defend against claims arising from all aspects of health care employment, including administrative proceedings, agency investigations and enforcement, and class and collective actions. We have tried scores of cases for health care providers across the country. Our Health Care Labor & Employment team regularly speaks on employment law issues to medical industry groups and trade associations such as the American Hospital Association, the American College of Healthcare Executives, Metropolitan Chicago Healthcare Council, Massachusetts and California Hospital Associations, the Massachusetts Medical Society, and other regional hospital associations. In addition, the firm has had a representative on the American Hospital Association’s Ad Hoc Advisory Committee on Labor Matters since 1980, chaired the labor and employment law committee of the American Health Lawyers Association and served on the Board of Governors of the Health Law Forum of the American Bar Association. 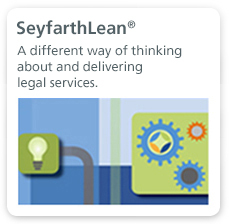 As part of Seyfarth’s Library Desk Book Series, we annually publish Labor Relations for Healthcare Institutions under the National Labor Relations Act.